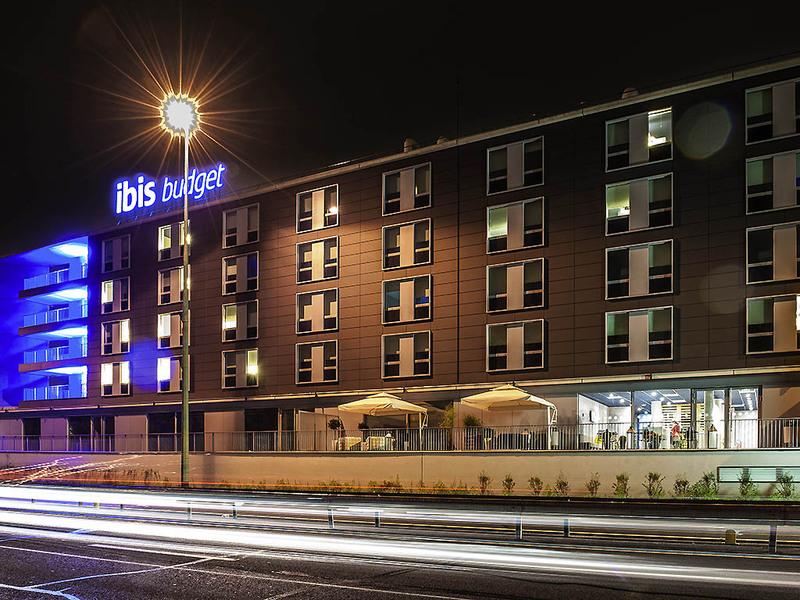 Located on the banks of the Seine, the ibis budget Bezons Rives de Seine hotel welcomes you for a stopover at a great price. Its 104 latest generation Cocoon Rooms have air conditioning, a shower, toilet, satellite TV and free WIFI. 3.1 miles (5 km) from La Défense, the hotel provides easy access to Paris via the A86 highway or the T2 tramway Pont de Bezons terminus, which are both nearby. The hotel has an underground car park. I booked this hotel because it is close to the Dell Office I was going to ( 80 quai voltaire Bezons) . I did not know what to expect . well I could tell with the price and the number of stars that I could not expect much. but I was still dissapointed with 2 things: a) it was impossible to breathe in the room, there was no air conditioning or air circulation whatsoever. i was suffocating in the room. and b) the noise from the street below and the cars passing by prevented me from sleeping. Knowing that the rate of this hotel is pretty low, some services are really painful. The internet slows down or doesn´t work in the evening anymore. The switches for the light, just working after pressing multiple times. So all in all nothing for people need to work in the evening. I asked for a taxi, but didn't get any receipt. I'm struggling now to contact travel agency ADEL transports to get the receipt. Meeting expectations: bed is extremely comfortable and everything is clean. It is exactly what I'm looking for as I only go there late to sleep and leave early in the morning. Price is unbeatable for what you get. Good location, comfy bed, room is simple but has everything you need. Only thing i did not like is to withdraw some cash and go to the hotel with the intent to pay by cash only to find out that my card had been charged. It has been a nice experience. Small, but clean rooms, towels changed daily, cozy and warm. A bit too far from the city, but within 1km you have a bus station which takes you to center. Check in waited for an half hour. Terrible. For the other things, it's ok. Nice rooms, comfortable bed. As I said, the job got done. Only suggestion - was not able to adjust the room temperature. Reception desk was OK. Room is small but nice, nearly like new. The bathroom didn´t look clean. There was a long dark hair at the bottom and I wasn´t sure for the toilet neither. There is no carpet to step on after the shower. Last time I used a towel (1 of the two) and I think it was just folded again and laid back. So even is the price is really OK, I would expect a clean room and a fresh towel if it´s on the floor! Lets start with the positive. The check-in staff on the night of Oct 23, was extremely helpful and attentive, many thanks for that. The room was on the main highway, so even with window closed it was extremely noisy. The Air conditioning was switched off centrally, and there were no fans. So It was warm in the room. At-least a fan needs to be available. Unfortunately it was a poor experience, in-spite of the room being OK. It is not the fist time I have been in this hotel . Always satisfied!! Ok for budget and a couple of nights. First experiences were not great. Walking down a busy main road in the dark and then finding a closed gate so that we struggled to get into the hotel. The service is fine and the hotel is clean but basic. We had to ask for extra towels and pillows but this was not a problem and we got these straight away. The biggest issue is the lack of kettle to make a drink. The drinks machine from breakfast is cleared away and the staff member was very courteous but had to ask us to drink up one morning so that he could pack everything away. As we were staying around the hotel for a few hours the ability to make and drink a coffee/tea would be very nice. The bed is comfy and the room is fine with a shower and a TV. It was fine for a night or two, visiting nearby, but this is a tram and a metro away from the centre of Paris and I would not really recommend spending a large amount of time here. Having said that, for the money spent, it was fine. We had a few problems booking in but the staff were very helpful especially in finding a secure location for our bicycles. Our stay was during a very hot spell so we found the air conditioning very welcome. Rooms and breakfast were what we would expect from a budget hotel, we had no complaints. I really enjoy my stay in the hotel. We stayed over for 3 nights. The person at the reception when we arrived was really nice. Our bed was made every day. Various choice for breakfast.